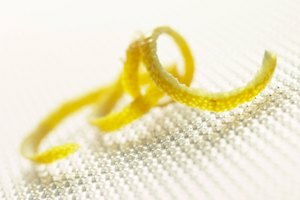 As a fully incorporated ingredient or a garnish, lemon zest – thin shavings of lemon rind – adds a punch of lemony flavor to baked goods, sauces, infused oils, cocktails, veggies, seafood and more. The oils in the rind impart more flavor than the fruit's juice, plus the shavings add a visual element you don't get with the liquid. If you're preparing something that calls for lemon zest but you don't have a citrus zester, all is not lost; there's more than one way to skin a lemon. And you don't even have to grab your tools from the garage to build some sort of makeshift zester. As they say, with great power comes great responsibility. So if you're going to learn the ways of "zesterless" zesting, it's important that you know to only shave off the superficial, colorful part of the rind. Between the rind and the meat of a lemon or other citrus fruit, there's a white layer called the pith. It's pretty bitter, so you don't want it tagging along on your bits of zest. Also, thoroughly wash lemons before zesting them. 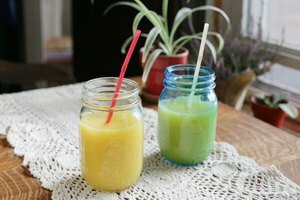 The exterior is the dirtiest part, and it's the part you're adding to your food or beverage. The lemon should be completely dry before zesting, too, or you'll end up with clumps of stuck-together peel rather than individual strands. In case you dug out some sort of shredding implement from the back of a kitchen drawer and are afraid to use it because it might be a grater and not a zester, it's OK. 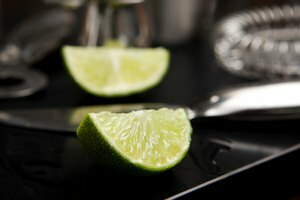 While the two are not the same, you can certainly use a light touch with a grater to zest a lemon. If it's a box grater with different size holes on different sides, use the smallest holes for the closest approximation to true zest. For the record, a citrus zester has a handle with a metal head with one line of small holes (usually five) at the top that have sharp ridges for shaving a citrus fruit's rind. You can peel off short bits, or drag the holes further across the rind to create longer ribbons that curl. Graters come in all shapes and sizes, but have multiple rows of ridged holes for efficiently creating a larger quantity of shavings. If you have a Microplane or a generic version of this kitchen gadget, don't overlook it for zesting a lemon. This type of grater creates particularly light, feathery shavings. It's easy to avoid pith on your zest as long as you don't scrape hard, but you do get peelings with less substance than you get with a citrus zester. Zest from a Microplane is best suited for baked goods and other foods where you don't mind if the rind melts away into the batter or dough. Of course, Microplane lemon zest still adds the flavor punch and the aromatic touch, but it's not as nice for the visuals. If you have a potato peeler or vegetable peeler, use it to peel off strips of lemon rind. Use just enough pressure to break the rind and slice through it, but not so much that the edge cuts down into the pith. You can also do the same thing with a sharp paring knife (just make sure to keep your fingers clear of the path of the blade). 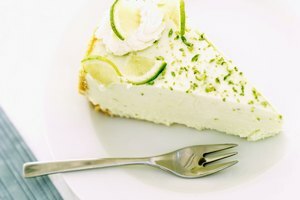 This method leaves you with much wider pieces of lemon rind than you'd get with a zester or grater, and nobody wants to end up with that in his mouth. Use a sharp knife to cut these pieces of peel into the thinnest strips you can manage. 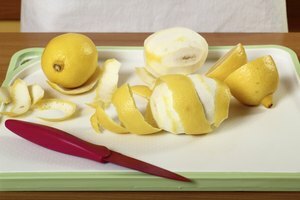 If, however, you're only using the lemon rind to infuse something like an oil or syrup and you don't care what it looks like, you can just use the large pieces produced by the vegetable peeler or paring knife.